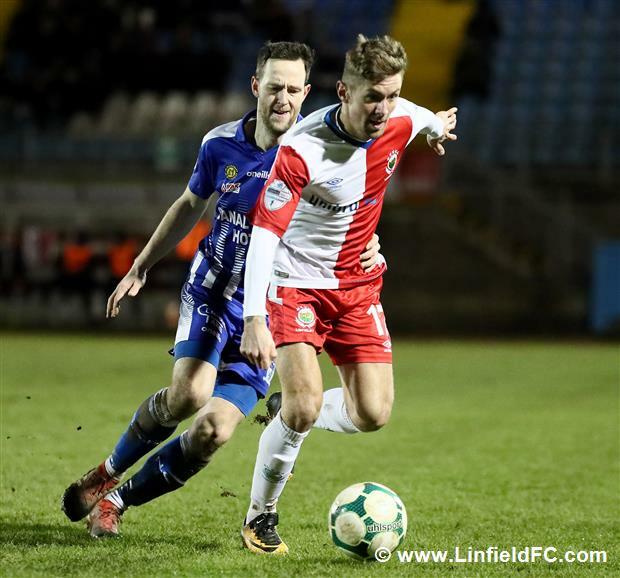 LINFIELD extended their lead at the top to six points as they defeated Newry City at the Showgrounds tonight thanks to a brace from Michael O’Connor and a crucial penalty save from Gareth Deane. 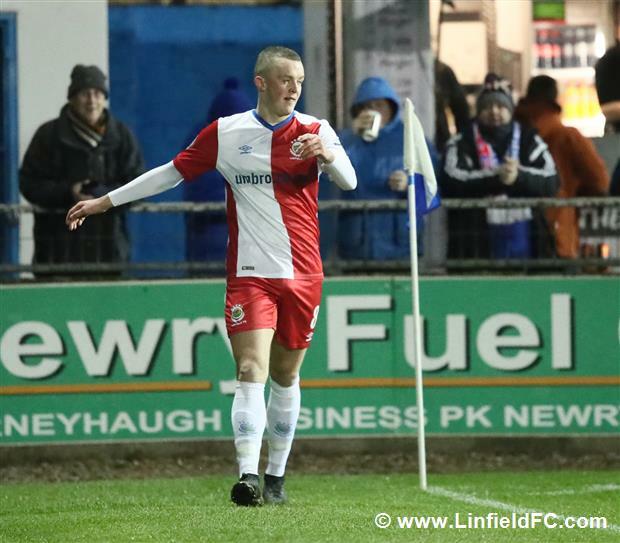 A bright start was rewarded on seven minutes when Linfield produced a well-worked opener. 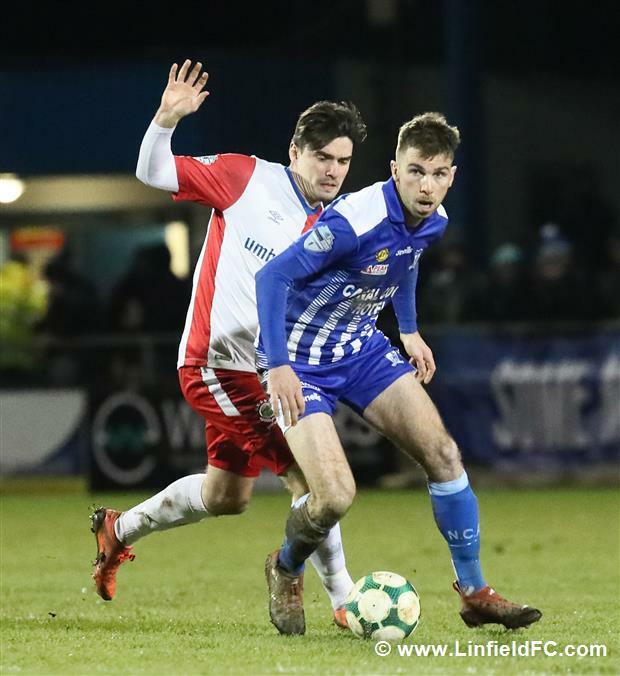 Jimmy Callacher found Niall Quinn with a pinpoint cross-field pass and Quinn fired the ball across for Michael O’Connor to slot home from close range. 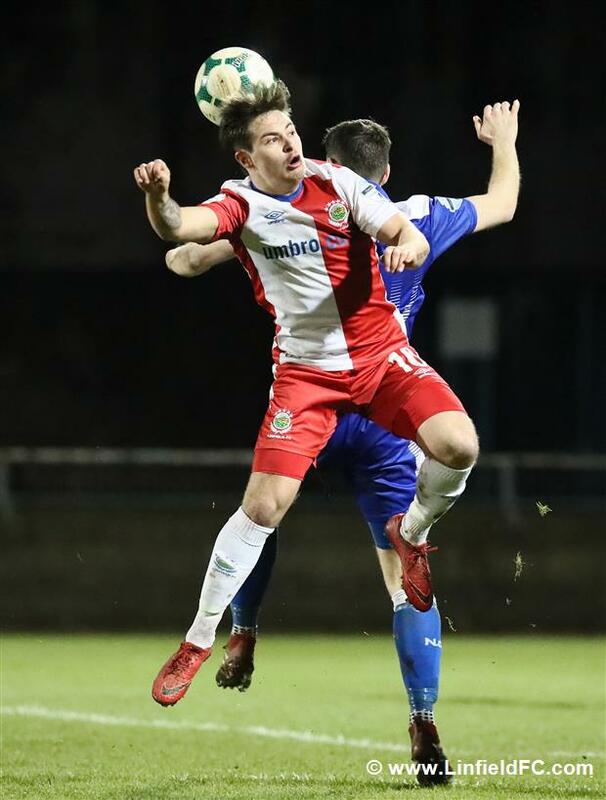 The big striker was making his first start for over a month due to Andy Waterworth’s suspension after the striker picked up his fifth booking of the season against Crusaders on Saturday. 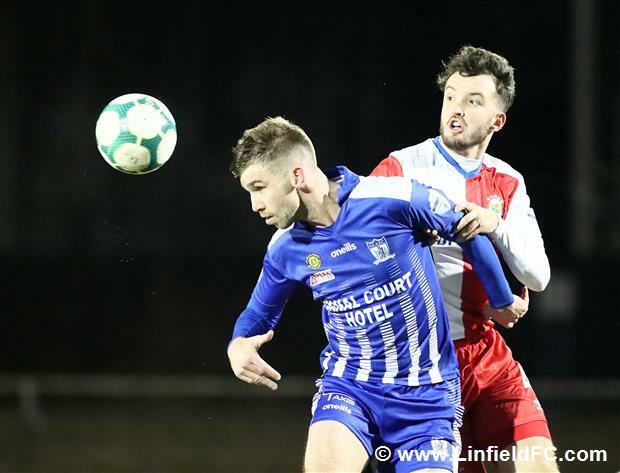 The Blues were playing some slick stuff in the opening period of the game and Jordan Stewart also went close with a long distance free-kick which flew just wide. 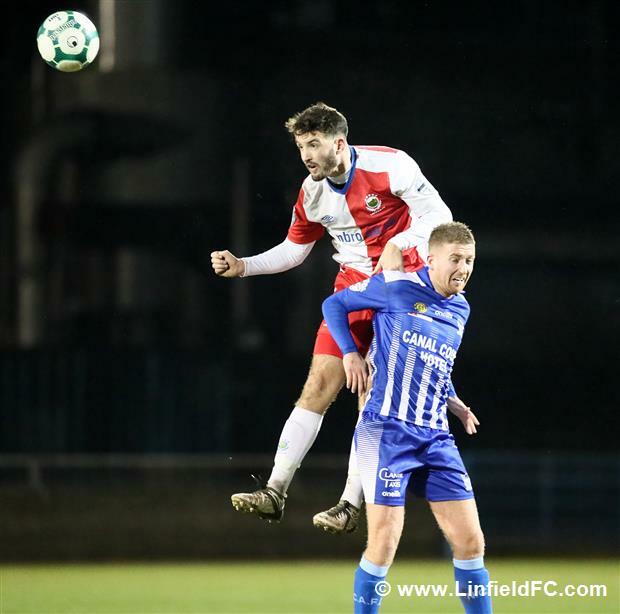 Soon after, Niall Quinn went closer again as his low free-kick went all the way through before flashing just past the far post. 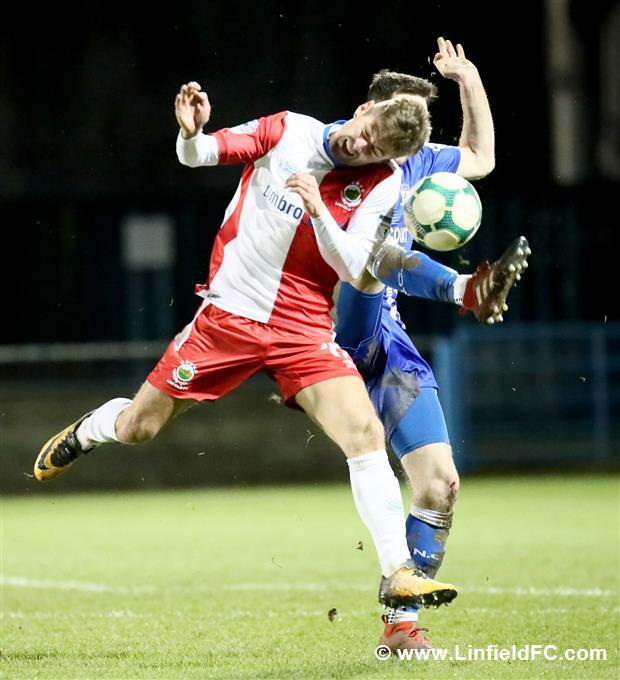 Newry stalwart Declan Carville was first to go close for the hosts when the ball dropped for him inside the box, but Gareth Deane – in for the injured Roy Carroll – was out big and quickly to produce an important. 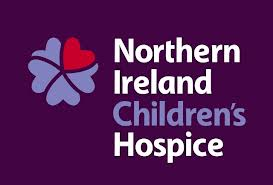 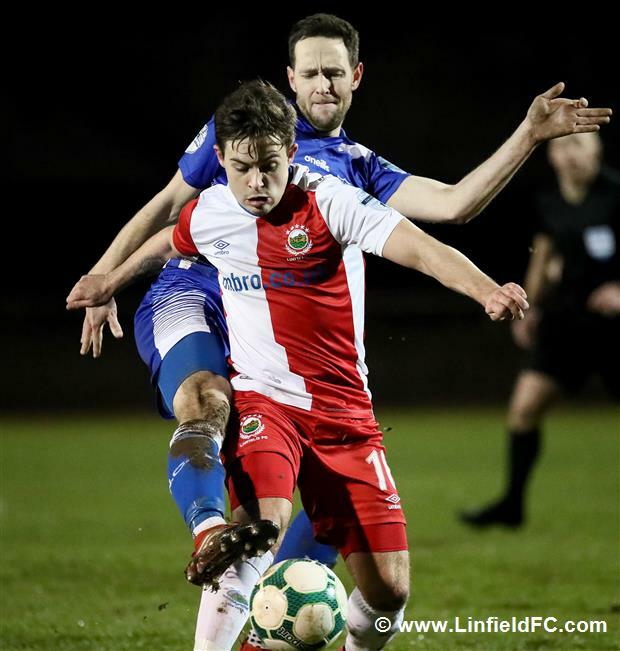 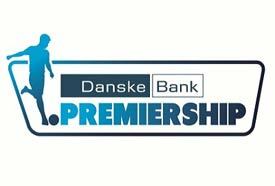 Darren Mullen’s men went agonisingly close to an equaliser on the stroke of half time as they nearly broke Linfield’s run of more than nine hours without conceding a league goal. 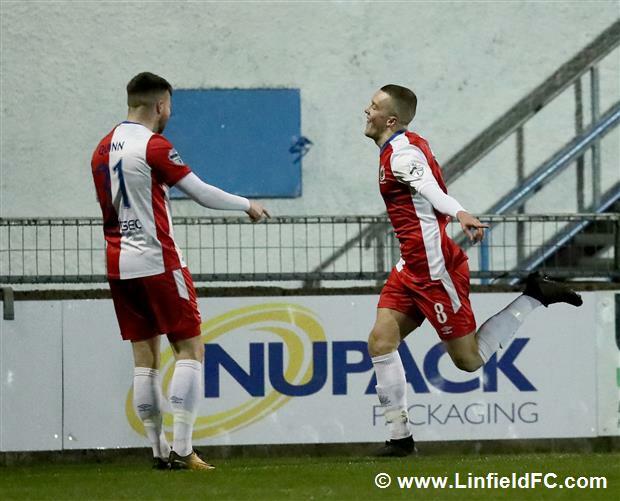 Karl Moody found himself in on goal from a neat through ball and he beat Deane, only to see his low strike come back off the post. 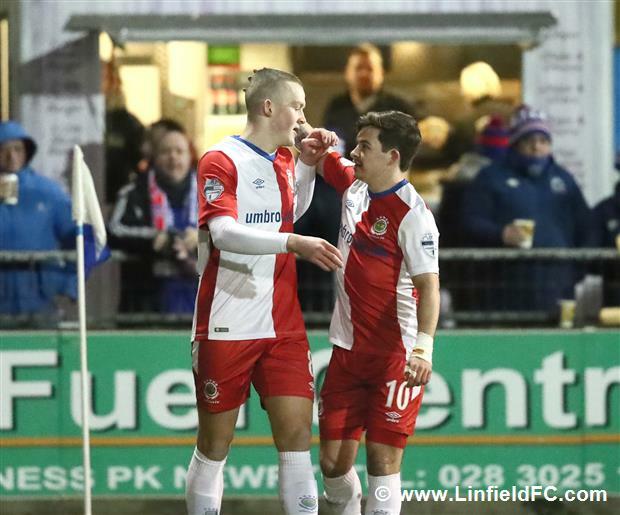 Things could have been very different at the break, especially if Linfield had been given a penalty. 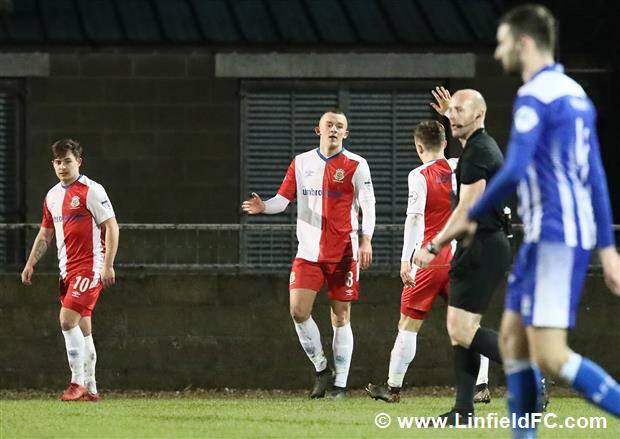 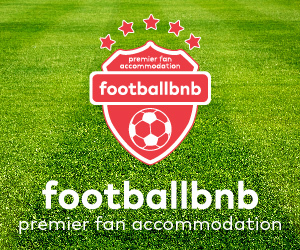 Referee Arnold Hunter had signalled a spotkick for the Blues for an alleged handball on 35 minutes, but after a minute or two of protests and consultation with his linesman, he reversed his initial decision, instead giving a Newry free-kick. 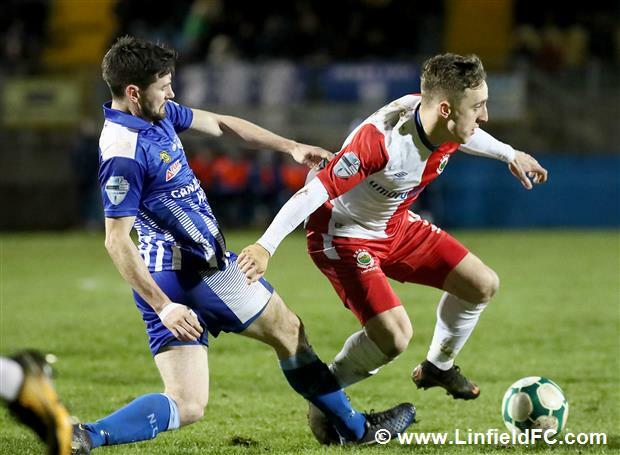 Newry couldn’t believe their luck (or lack of it) three minutes into the second half. 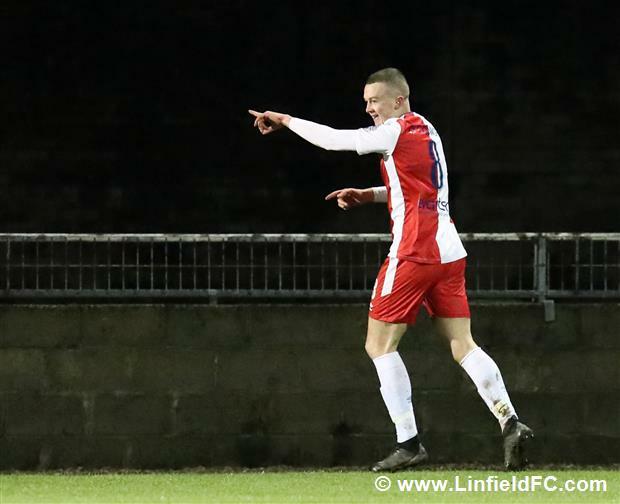 Linfield failed to deal with a long throw before Jimmy Walker was flattened in the box and Arnold Hunter pointed to the spot. 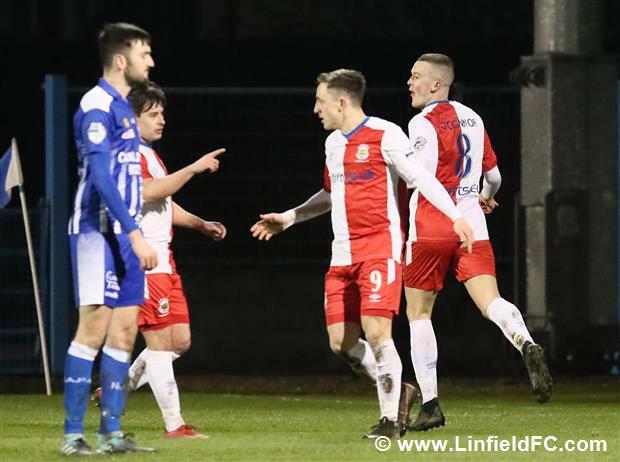 Dale Montgomery stepped up to take responsibility and just as Linfield’s run without conceding looked to be coming to an end, Gareth Deane produced heroics as he sprung to his right, pushing the ball away at a crucial moment in the game. 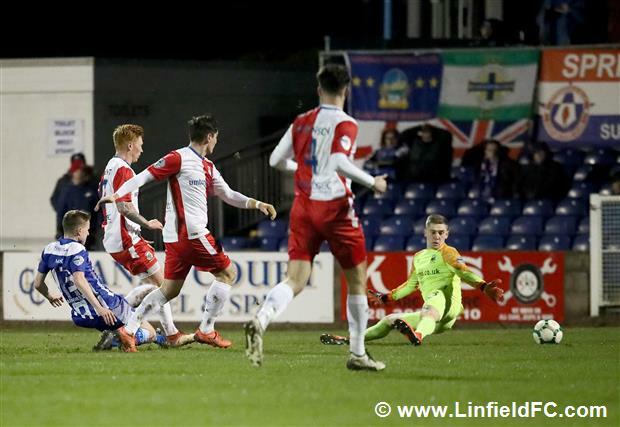 The second goal looked like it could be decisive, and Linfield were delighted as they grabbed it on 52 minutes. 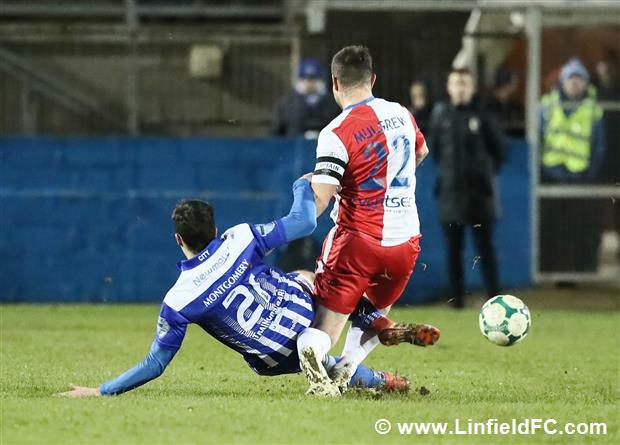 Joel Cooper peeled off left, beat his man and fired in a low cross which Michael O’Connor clinically converted into the corner for his second goal of the night. 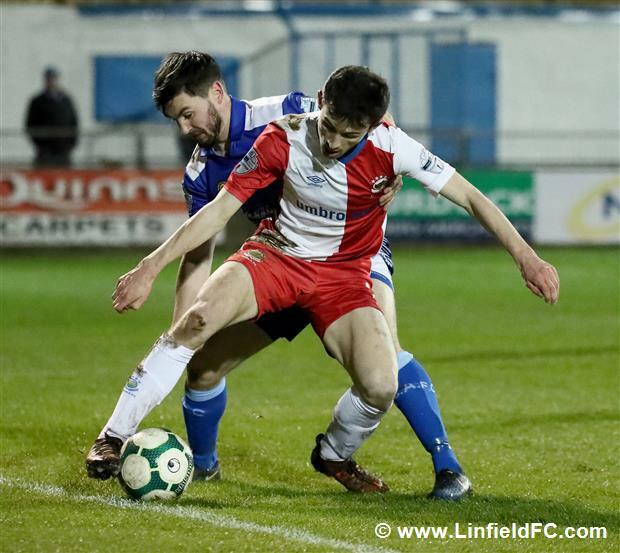 Jordan Stewart picked up the ball on the right and had a go at goal but his effort flashed just past the upright as Linfield looked to put the game beyond any doubt. 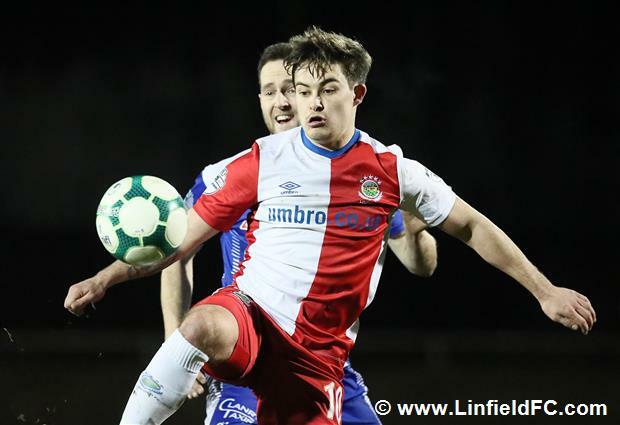 Jimmy Callacher almost kept up his incredible goalscoring form when he got in ahead of the onrushing Coleman to meet Niall Quinn’s corner, but his glancing header went just wide of the target. 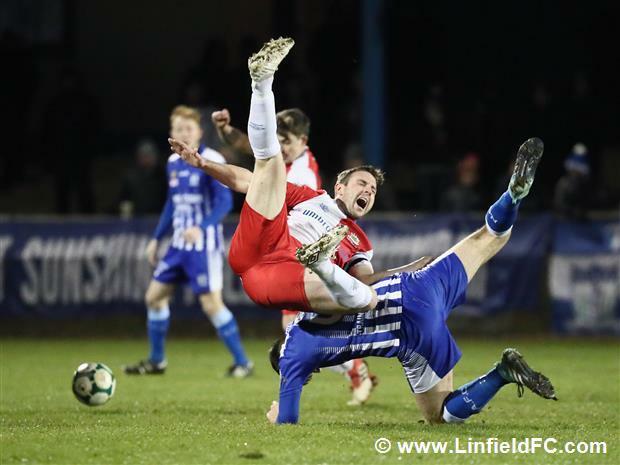 Joel Cooper almost made it three in the closing moments after being slipped in by Daniel Kearns. 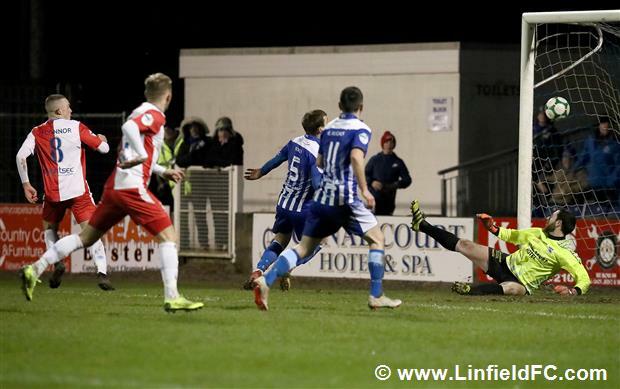 The wingers turn and shot at goal was heading for the bottom corner, but Andy Coleman produced a fine save down to his left in the Newry goal. 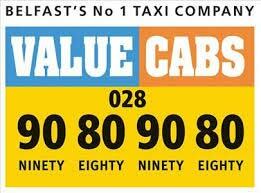 Unfortunately, it wasn’t all positive for The Blues. 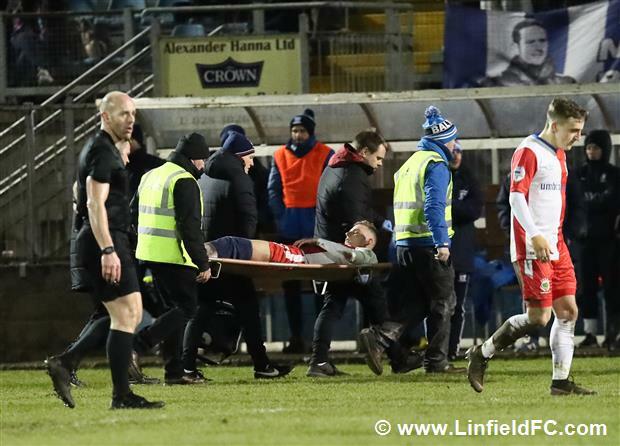 Stephen Fallon and Kirk Millar appeared to pick up knocks, whilst Andrew Mitchell picked up an injury which appeared more serious as he left on a stretcher with a bust knee before heading to hospital to get stitched up. 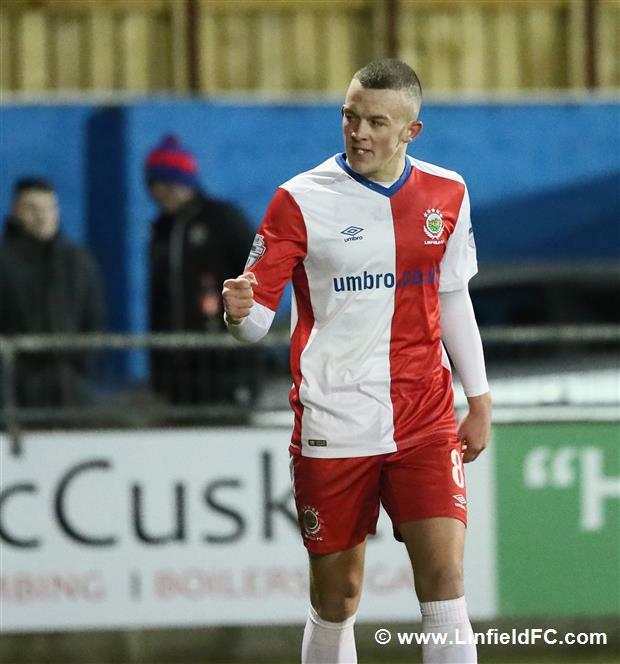 To finish on a positive, Kyle McClean made his debut and the St. Johnstone loanee looked good on the ball.